150+ years of quality, service and solutions! 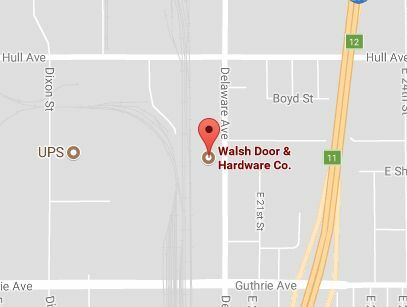 We're pleased to announce that Metal Doors & Frame Co. of Kansas City joined forces with Walsh Door & Security effective 12.31.2018. With offices in Des Moines, Iowa City and Kansas City, we can better serve the needs of our existing and new customers. Walsh serves customers across the Midwest and is one of only a few companies, nationwide, with deep experience in both doors and electronic security systems. We look forward to providing you with innovative products and quality service for many years to come. 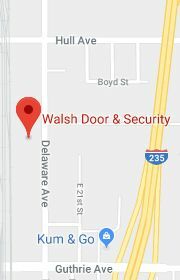 Walsh Door & Security is the Midwest’s leading provider of premium commercial door, frame, hardware and electronic security products and services. We are family-owned, more than 150 years old and focused on meeting or exceeding the needs of our customers. We serve the commercial, industrial and institutional construction markets, as well as schools, universities, hospitals, clinics, data centers and other end-users – including small businesses. Our experienced team has been built from within, developed and trained in our system – with young, energetic team members working alongside – and learning from – seasoned experts. There is great camaraderie and open communication from the production area to the front office and between our three offices. And we are constantly educating and improving, encouraging employees to grow their skills and careers. From our main office in Des Moines and branch offices in Iowa City and Kansas City, we serve customers across Iowa and the Midwest. And we would enjoy having the opportunity to serve you! Founded in 1866 as L.H. Kurtz Co., the business experience specialized in wholesale hardware and plumbing materials. In 1975, Martin J. Walsh III, a native of New Britain, Connecticut, (once considered to be the “Hardware Capital of the World”) and his wife, Katie Kurtz Walsh bought the builders hardware division of L.H. Kurtz Co., and formed Kurtz-Walsh Builders Hardware Company. In 1989, the company’s hardware adorned the doors of Air Force One used by President George H.W. Bush. In April 1994, the company merged Kurtz-Walsh Builders Hardware and Iowa-Des Moines Door & Hardware, establishing Walsh Door & Hardware Company. The company was initially located at 220 Third Street in Des Moines, and moved to 3 College Avenue in 1979. In December 1994, the company headquarters moved to its current Des Moines location at 2600 Delaware Avenue. The merged company’s focus was to fabricate and distribute exterior and interior doors, frames and hardware to general contractors for commercial use. The Walsh Iowa City Branch Office was opened at 2918 Industrial Park Road in 2001, offering better service to customers in Eastern Iowa and company expansion. Since 2004, the fifth-generation family business is managed by Martin J. Walsh IV and Brian Kurtz Walsh, serving as Co-Presidents, with Martin J. Walsh III serving as Chairman. In 2007, Walsh added Walsh Electronic Security, a division specializing in building access control and video camera surveillance. This state-of-the-art technology proved to be an integral part of the Walsh business. 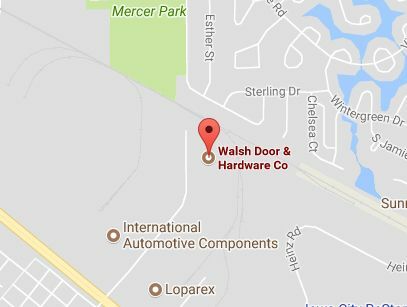 2016 marked the celebration of 150 years in business for Walsh Door & Hardware, employing over 80 professionals and craftsmen in two locations and 60,000 square feet. Walsh was listed as the sixth oldest business in the Greater Des Moines business community. In 2017, another significant milestone for Walsh was achieved with the transition to one name – Walsh Door & Security. For ten years, Walsh operated as two separate divisions – Walsh Door & Hardware and Walsh Electronic Security – while working together as one team providing quality solutions for customers. 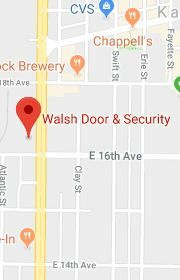 In December 2018, Metal Doors & Frame Co. located at 1606 Burlington Street in North Kansas City joined forces with Walsh Door & Security. With offices in Des Moines, Iowa City and Kansas City, we can better serve the needs of our existing and new customers. The ability to offer doors, frames, hardware and electronic security sets Walsh Door & Security apart in the Midwest, provides added value for general contractors, architects, and public and private institutions, and makes Walsh the go-to partner for innovative solutions. 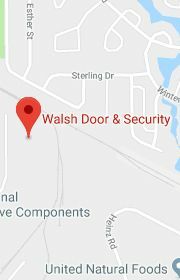 Walsh Door & Security is the Midwest's leading full-service provider of premium commercial door, frame, hardware and electronic security products and services.